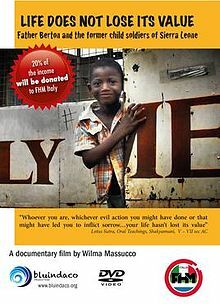 The documentary follows Fr. Giuseppe Berton, an Italian Missionary who lived in Sierra Leone for over forty years. He founded the "Family Homes Movement" (FHM) to provide parental care and education to child victims of the country's civil war, during which thousands of children were recruited as soldiers by all conflicting forces. Children were often forcibly recruited, given drugs and used to commit atrocities. Girls were also recruited as soldiers and often subjected to sexual exploitation.The documentary follows FHM as it aided the rehabilitation and reintegration process back into society of over 3000 child soldiers.